The PPP Presidential Elections by year end…. 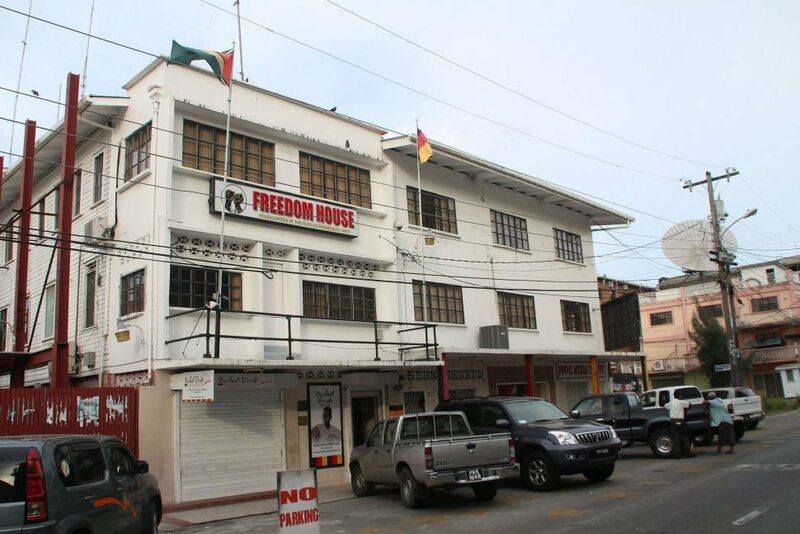 The opposition PPP has announced publicly that its own sweepstakes for the party’s presidential nomination is now open. One would hope that this is not the advertisement for what is open and shut, as in prearranged and predetermined. May the best person (females included) win. Already, this will be a referendum about those perceived pulling the strings behind the scenes, as opposed to the eventual winner given the mandate to lead the charge. Most of Guyana agrees. A good, current example from the world of sport should paint a clear, if not compelling picture. Jose Mourinho, formerly of Manchester United, stands as the model. He had some lineage, was given a studded team, and then challenged to deliver history. He failed; and an illustrious franchise failed miserably, too. In failing he became deceptive, radioactive, unproductive, and ultimately self-destructive. His time had passed; so, too, was his style and his incorrigible ways; and everyone knew it, except him. The PPP is saddled with such an albatross of management and of circumstances. The breath of fresh air, the freedom to flourish and soar (and be own man or woman) with own stamp are all heavily circumscribed and painfully, torturously straight-jacketed, to the detriment of one and all, especially the party. In some quarters, the promising is already viewed as puppets of Machiavellian manoeuvers, clones of circumstances suffocating and capricious. Disreputable and dishonorable, too. So whether the December surprises of a Vindya (pedigree that counts, solid credentials, youthful and on the distaff side); or Bonnie Prince Charlie (prodigal sons are always welcomed; though upstarts and young men in a hurry cause pause); or the much touted Frankie (except, unlike Sinatra, he is too inclined to do it the other man’s way, also too unoriginal and too uninspiring), they all suffer from the inception from a regrettable taint. The taint is of not being their own masters, but that of a Shelley working through a political Victor Frankenstein, who is bent on unleashing the monsters leeching from his brain. Even if it is not so, the perception would be hard to shake. Despite strong misgivings in many circles, one or the other of those could come to represent a break from the mangled past, and if allowed to function on their merits may deliver something palpable. Unless, those with voting powers develop some powers of their own, including intestinal fortitude and hard backbone, the counting and selecting may be over before it begins. For clearly, the kingmaker has many tools and resources: men begging to do his bidding; an unearthly craftiness; an inhuman devilishness; and the will to marshal his allies, woo fence sitters, and trample upon adversaries. It is a formidable, if not lethal combination. Rather curiously, one of the clear frontrunners is someone now being soft-pedaled and tactically relegated to the back-burner. It is temporary. For in this character–suspect, ludicrous, slapstick, and indicative of all that is wrong over there-resides the hopes and dreams of the champion and godfather. It is of resumption and continuity with respect to the perversities that ailed and crippled this society. Of course, the plunderers and exploiters are excepted. Given the scheming and plotting, there is amazement at how far the PPP has fallen, how much this country has decayed that certain names can even be whispered as a presidential candidate. Is this the sickly state to which matters have deteriorated in local political visions? As the selection process goes into high gear, the PPP brain trust (the constructive segment), and those mature people who still harbor some semblance of its original soul have several searing questions to face and answer in their deliberations. As the selection process goes into high gear, the PPP brain trust (the constructive segment), and those mature people who still harbour some semblance of its original soul have several searing questions to face and answer in their deliberations. First, which single political figure during the party’s long tenure in office benefited the most, by and far, and hands down, from the fruits of the land? Second, which political citizen, no matter how it is endeavoured to conceal today, stands head and shoulders in terms of returns and the largesse of office? Third, which political prince in the fold, this same storied fold of lore and reality that resurrects the memory of their founder-leader when convenient, prospered mightily while the welfare of rank and file supporters sank to hitherto unplumbed depths? And, fourth, while the interests of the wider nation at large was frittered away among cronies and comrades in a criminal commercial cabal? And to the detriment of party, people, and nation. And when those questions have been filtered and faced frontally, then those casting ballots for their next presidential candidate, must look in the mirror of their minds, and ask: do I, do we want more of the same in the form of limp surrogates, of yet another pathetic proxy for the real power lurking behind the throne?